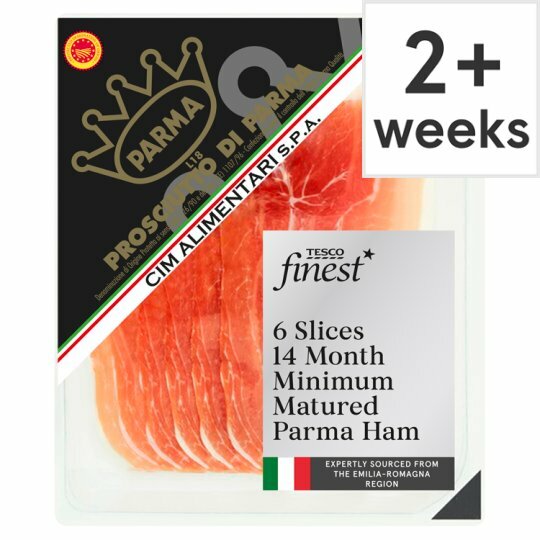 Parma ham is made with whole Italian pork leg and sea salt for a sweet and delicate flavour. Expertly salted and traditionally dry cured in Italy by a family run company with 8 generations of expertise dating back to 1812. We have worked together for over 20 years to deliver authentic Italian products. Prepared from 140g of Pork per 100g of Parma ham.